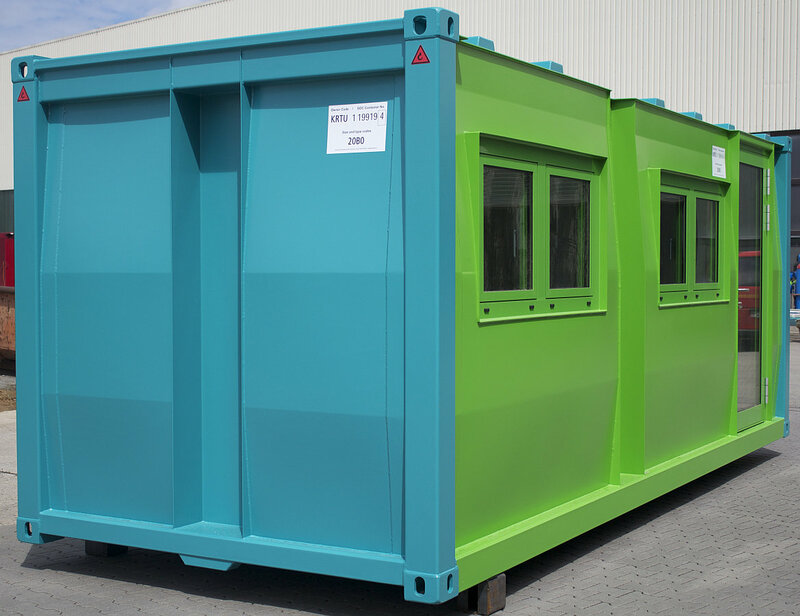 The office containers of the Minotaur® type series are high class space modules made of steel. 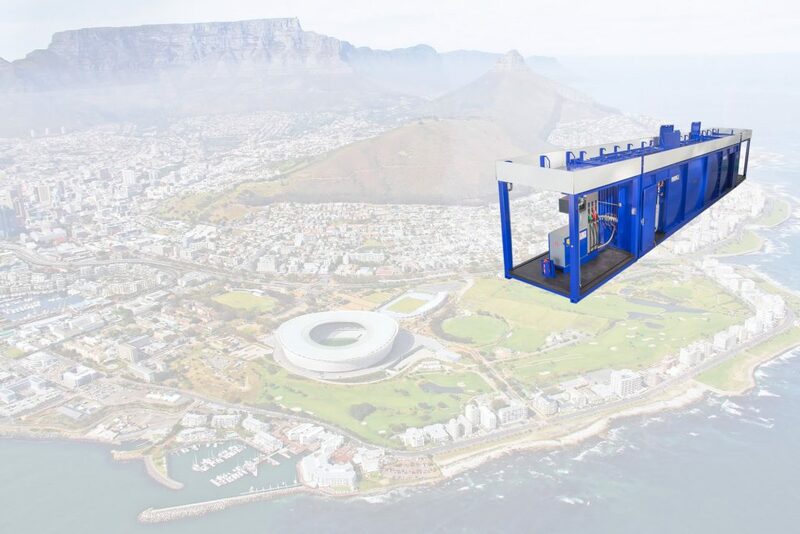 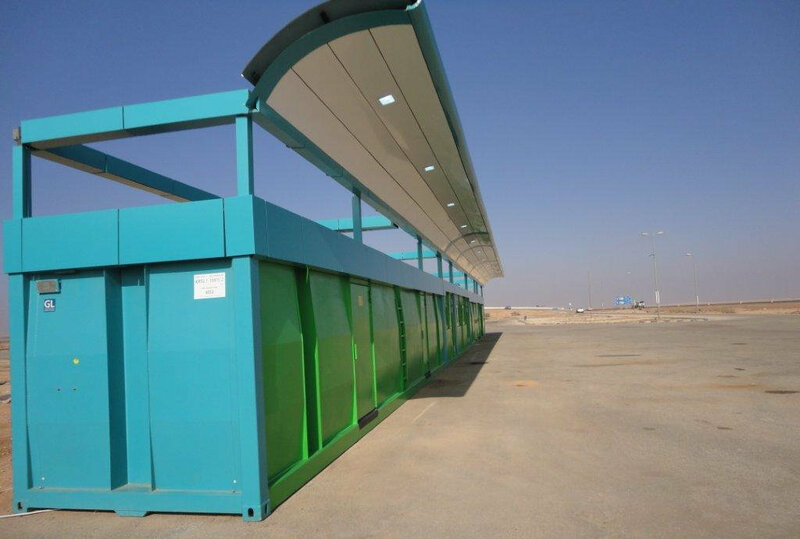 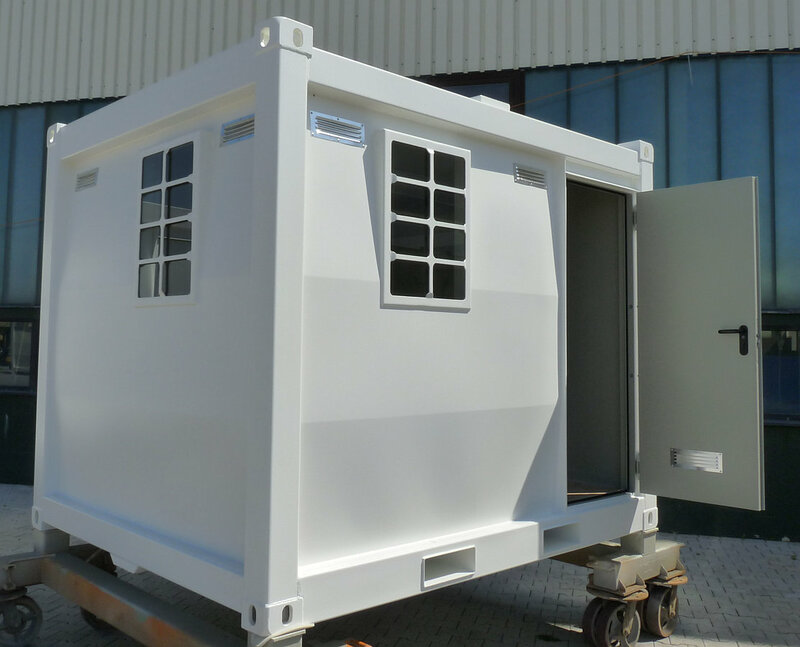 Our office containers are fully welded, robust steel bodies and designed for a worldwide use. 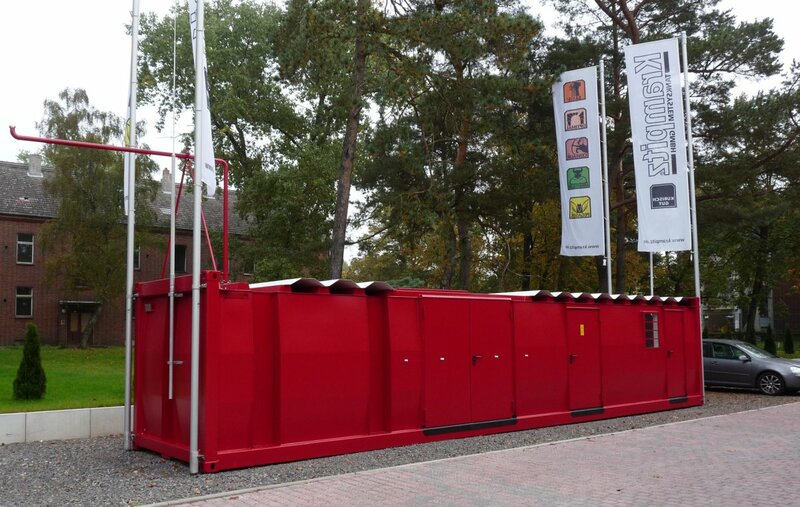 In addition to the gas stations and storage tanks these office containers complete the product range of Krampitz. 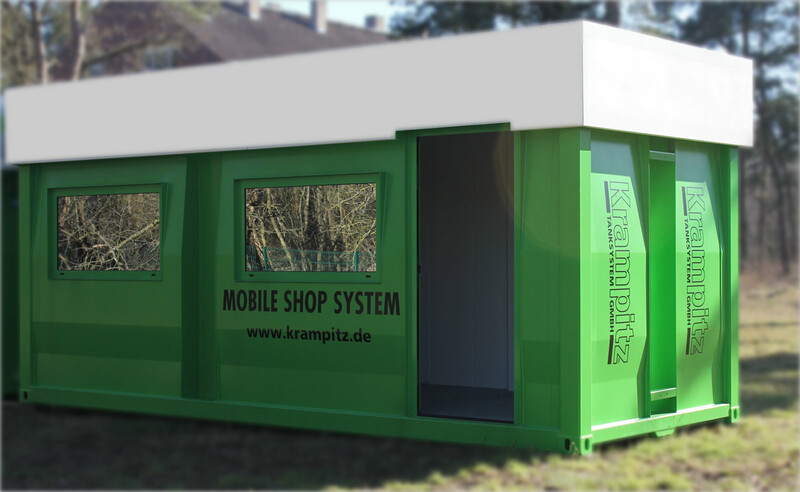 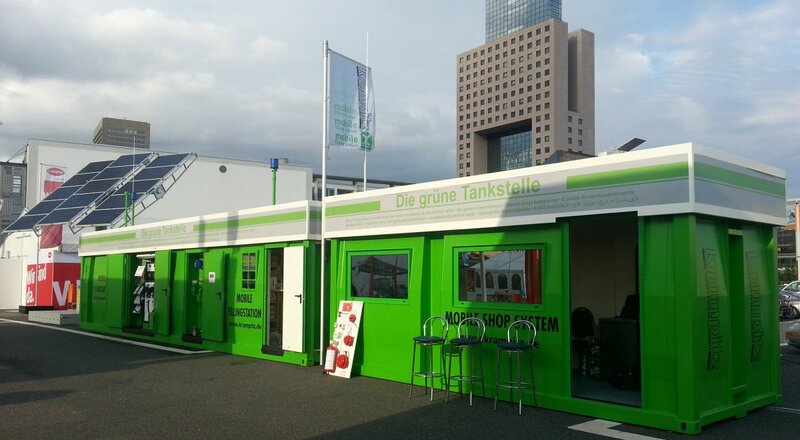 The Minotaur® office-containers have also the strikling design of the Krampitz's gas stations and storage tanks. 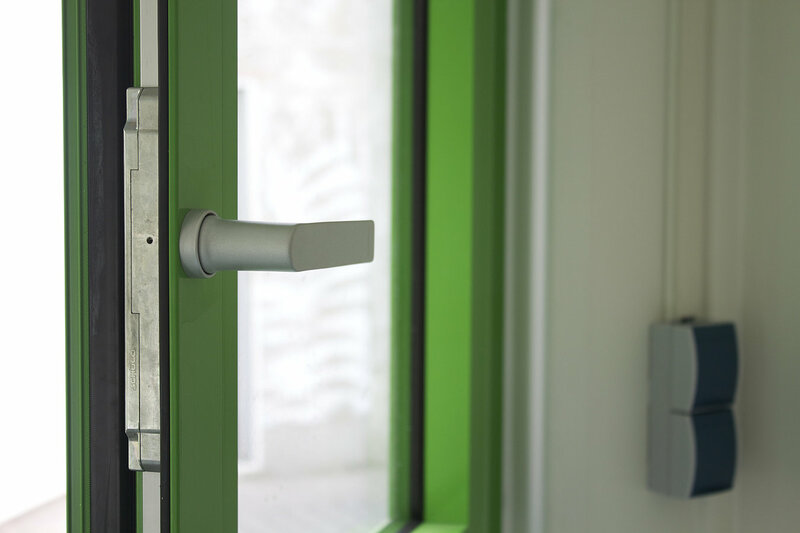 Complete, visually matching areas of work can be created with this. 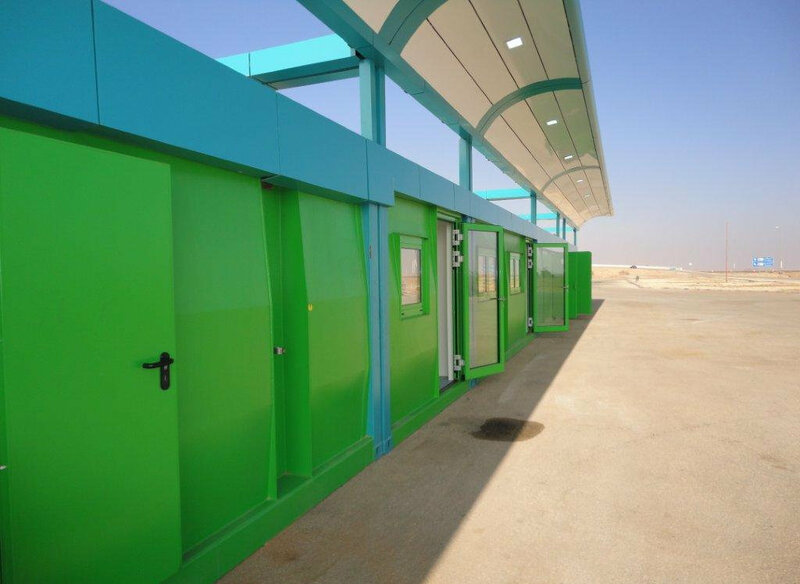 The various fields of application are: Office, Laboratory, Shop, Workshop. 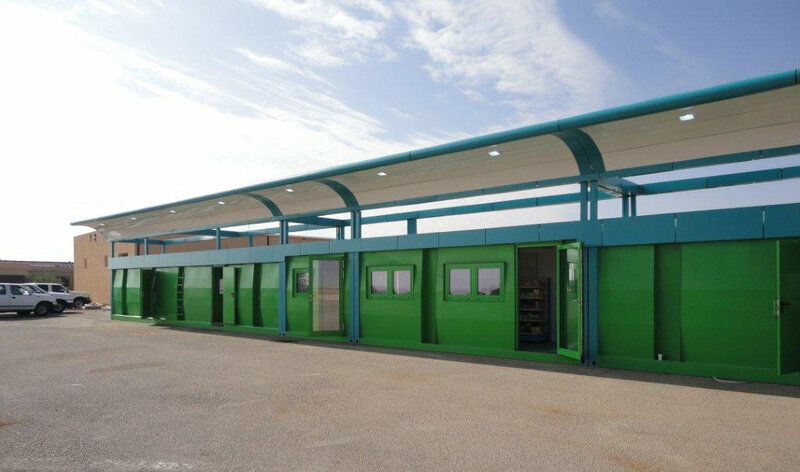 An absolutely dust- and rainproof product for the world's harsh regions is obtained by the fully welded module. 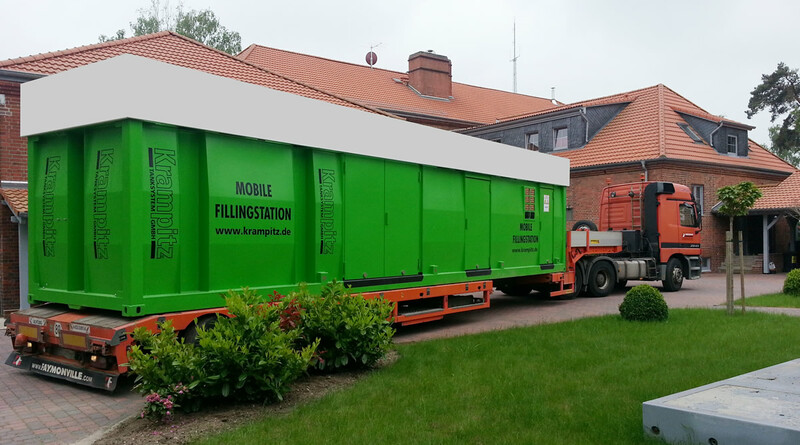 The body's high strength allows an easy trailer transport on gravel roads and mountainpaths. 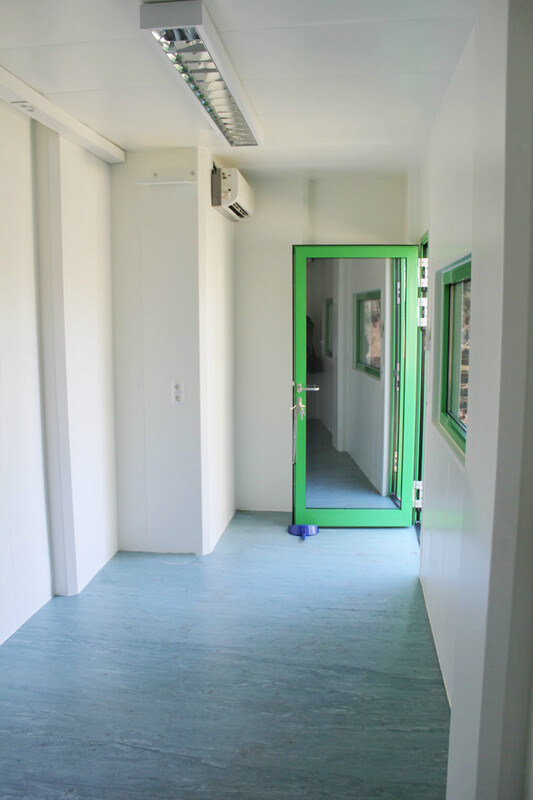 An appealing visual appearance and a high class equipment of the module were basic characteristics of the office-concept. 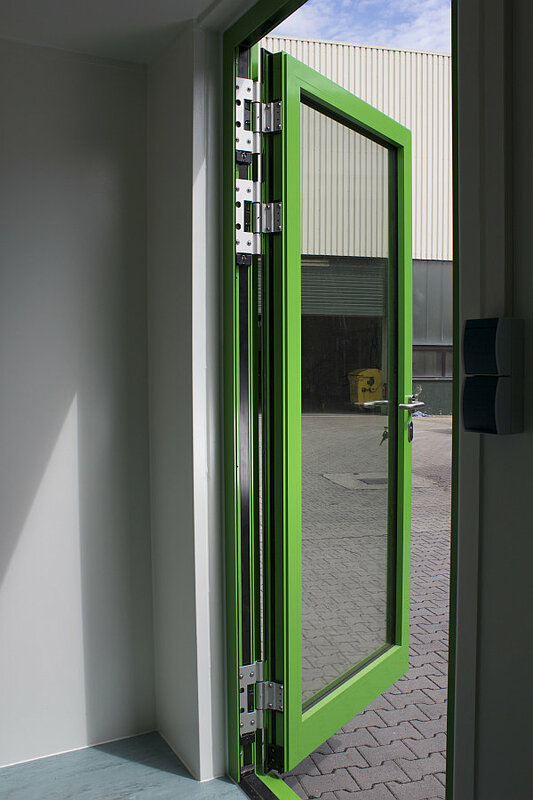 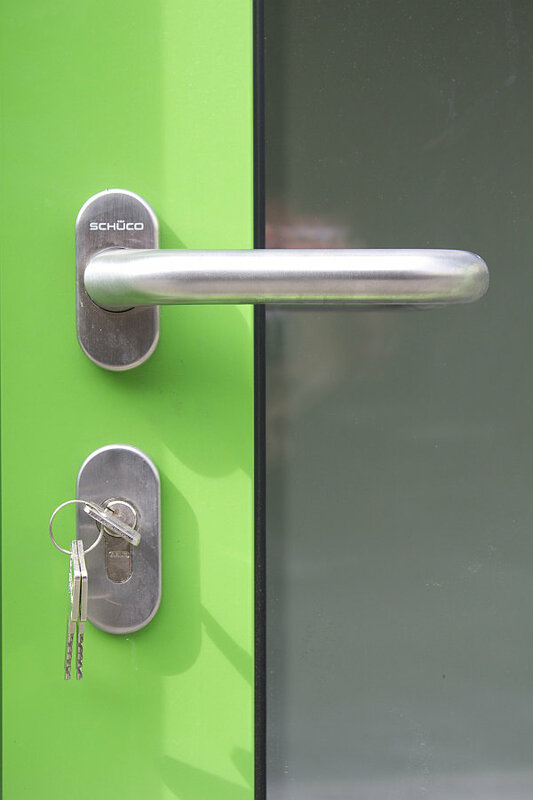 High class sealed aluminium-security doors and windows are the precondition for a high utility value of this module. 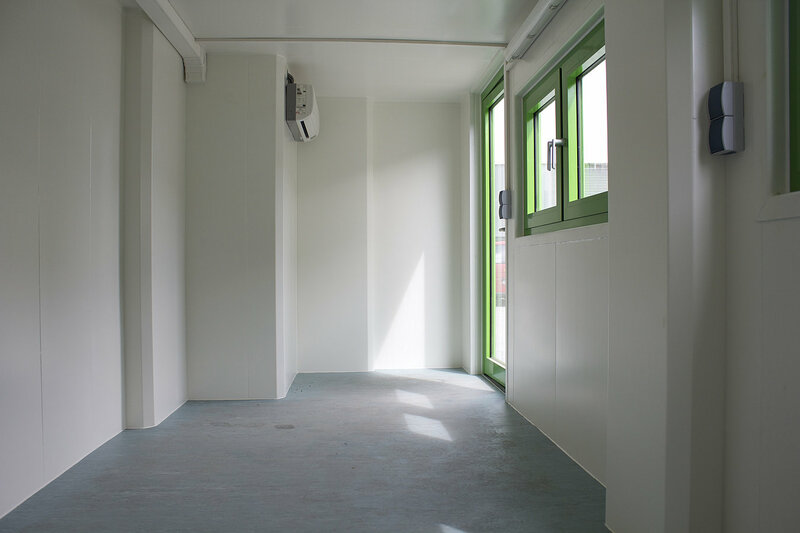 The assembled doublewalled window panes block the solar radiation and possess high noise insulations. 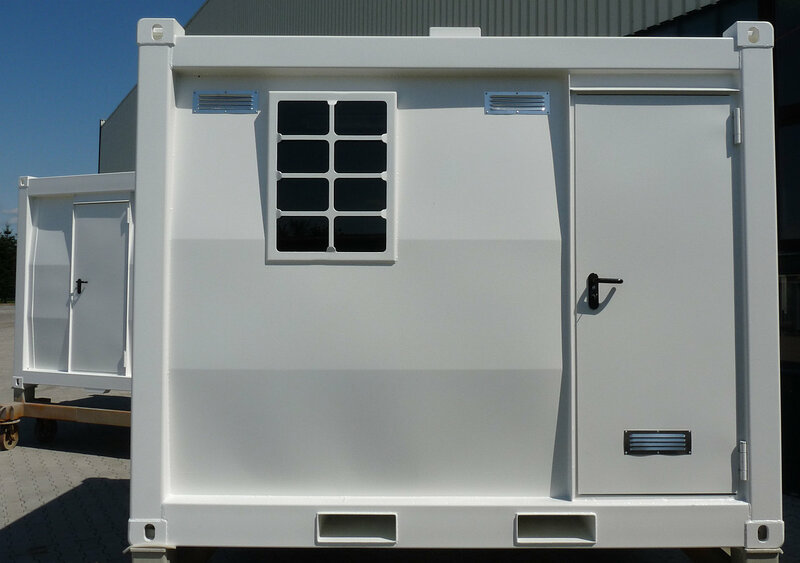 The internal walls are equipped with galvanized tin panels with 80 mm strong thermal insulation. 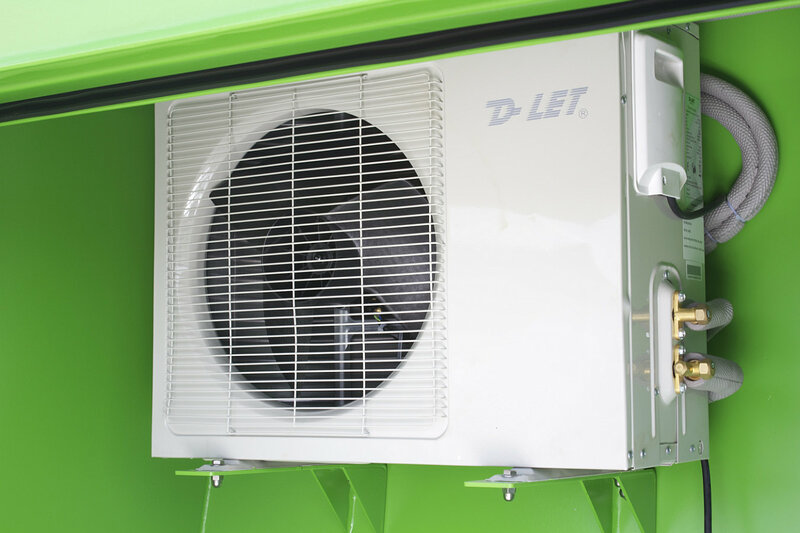 If required, an airconditioning or a heating system can be installed optionally in the electronic niche in the back of the module. 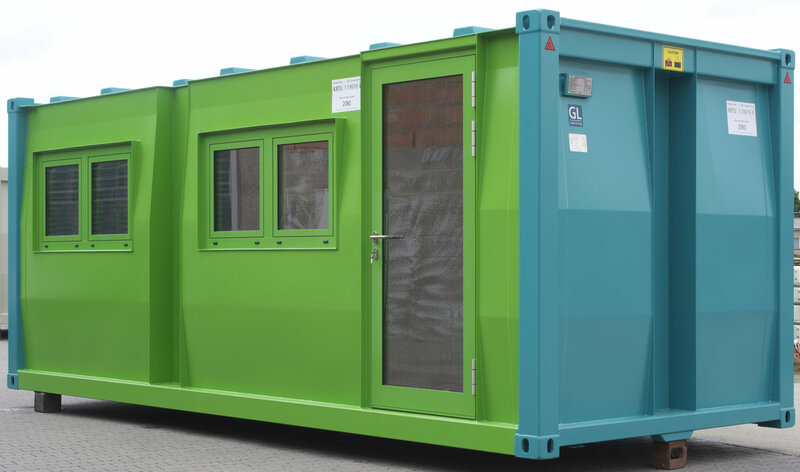 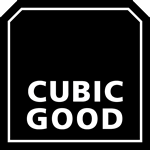 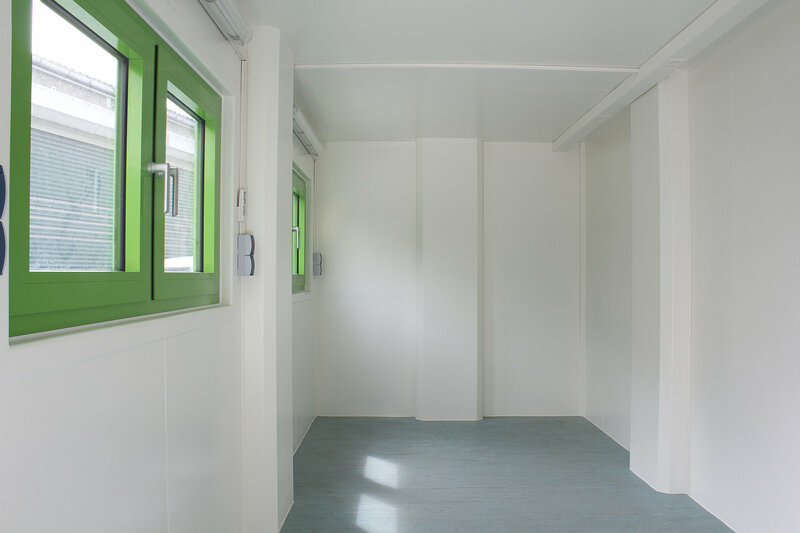 The High-Cube version of the office container guarantees a good indoor temperature and a top convinience with an inside height of 2500 mm. 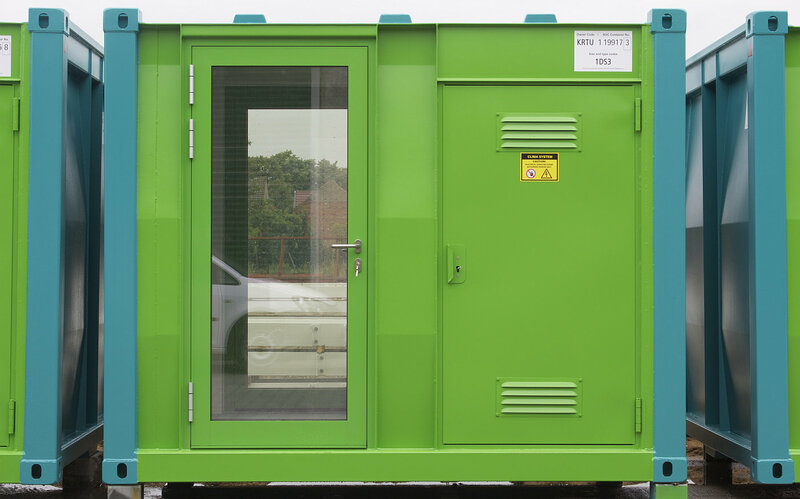 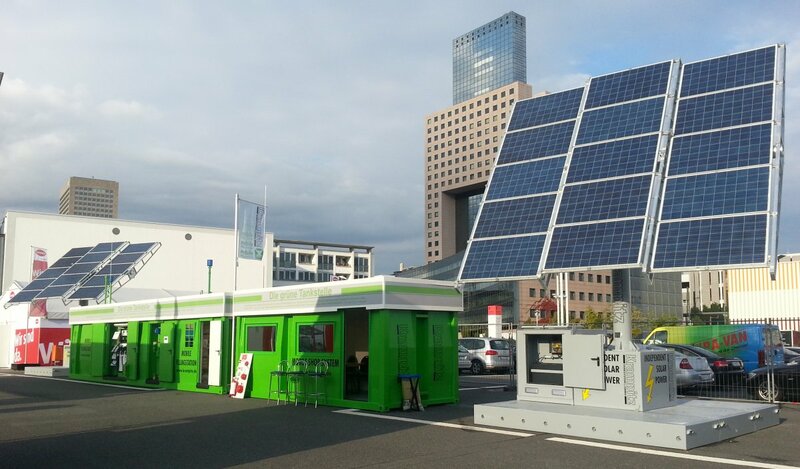 If required, a small emergency power system with 5 kW power can be installed in the electronic niche. 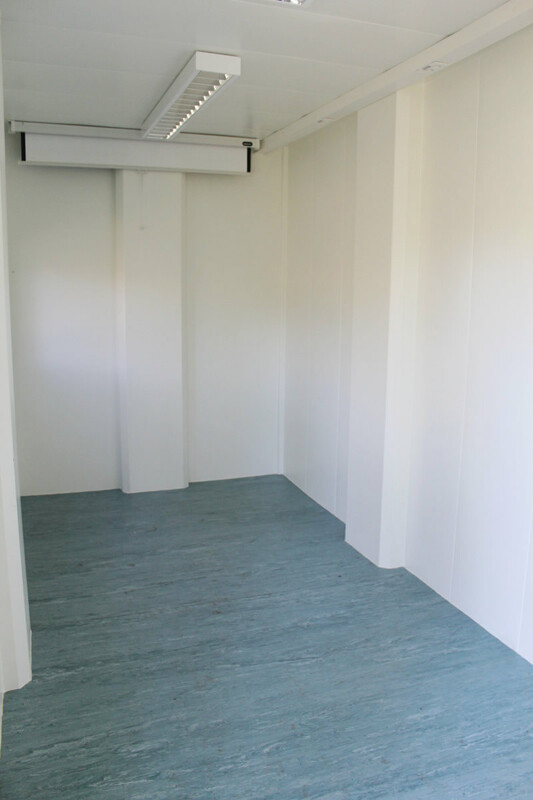 The office module is completely wired and has a safety box in the eletronic niche and 8 sockets in the room and an interior lighting with LED-lamps.